Gosh.. It’s already that time of year that we need to feel our best to have the energy and health to get through all of the parties, shopping, and to-do’s on our lists. In November and December I swear we’re faced with every food and drink temptation imaginable. And sugar. SO SO much sugar… which makes it super difficult to keep as healthy and fit as we would like. Add in that holiday stress of trying to do it all, and our immune systems can suffer and then we end up sick… at the one time we cannot afford to be. So today I thought I’d share 6 quick and simple tips that can keep us feeling great, our immune systems strong, and our exercise and fitness right on track. 1. Stick to that 80/20 rule. Let yourself have a cheat day here and there. Look forward to them. Plan for them. Pick which days they will be. But…the rest of the season, stay on track with your clean and healthy eating. 2. Have a high-protein snack before every holiday gathering and party. The protein will help tame your hunger and help you feel less tempted to indulge in the different holiday treats available. 3. Keep hydrated. Drink plenty of tea, lemon water, and fresh green juices all season long. And at every party, keep a glass of water or soda water in one hand. If you do have a cocktail, follow it up with another glass of water. 4. Challenge yourself to fill your plate with the healthy things first, both at home and at your next gathering. Pile on those fresh veggies and snack on those while you are socializing before you even think of indulging in the treats. Be mindful of every bite and do not just eat mindlessly. 5. Find 20 minutes everyday to squeeze in a quick fat-buring workout in your living room (or office… or hotel room). There are some great ones included here that you can do from home in 20 minutes are less with no equipment but your own body weight. Getting in that workout everyday will boost your immune sytem, your energy levels, and your mood! 6. Before the next party or event where you know you’ll be tempted to indulge in some special holiday treats, get in that quick workout. After working out, you always feel better and are more inclined to eat healthier and even hopefully turn down a treat or two at parties. 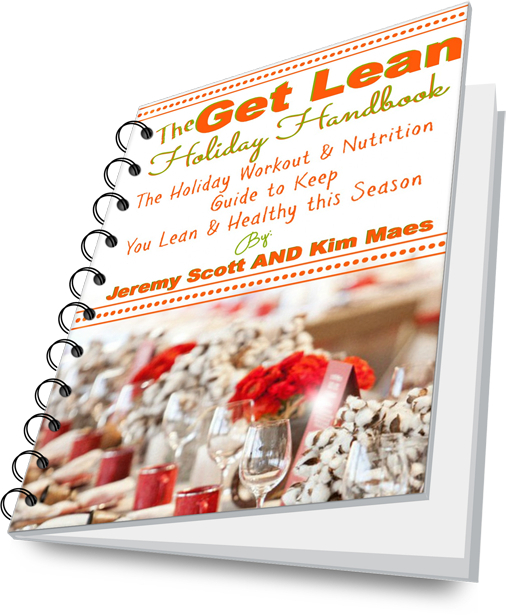 And make sure to check out this Gluten-Free (and Dairy-Free) Holiday Handbook to get some great survival tips to stay lean and healthy this season. 4 amazing fat-buring workouts (to do from home) to keep that metabolism going all day long. This handbook breaks it all down and gives you great ideas to stay on track with your healthy eating and simple workouts. AND for the next week, if you enter HOLIDAY20 at checkout… you get 20% off so this entire 40+ page guide ends up being only $11.95… LOVE IT!! With a few tips, motivation, and recipes under our belt we can manage to get through this season healthy and feeling great without gaining weight or slacking on quick and simple workouts… especially when we have those calendars packed with holiday parties and weather that can diminish our motivation to train and eat well. 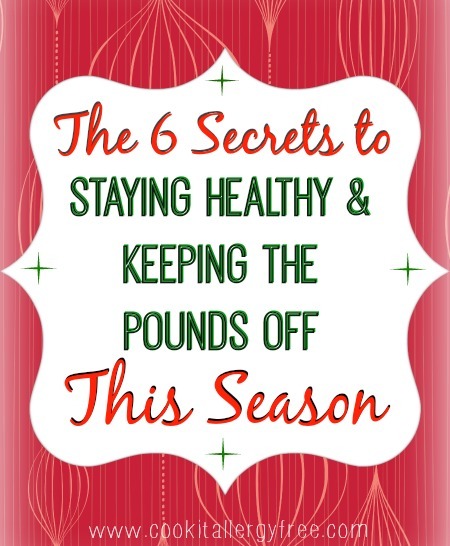 Here’s to doing something amazing for ourselves and our health this season! Let’s start the new year feeling great!